Developers of the Levera Beach Resort made a generous donation to the Junior Achievement Programme of Grenada. The competition gave selected students the opportunity to further their insight and appreciation for the operations of a successful small business. The annual competition took place in Mexico City, where four students and one teacher were selected to participate at the regional level. “It gives me great please to communicate with you…to express sincere gratitude on behalf of Junior Achievement Grenada and Cocoa Galore (JA Company). With your assistance the team successfully represented Grenada at the Junior Achievement of the Americas Competition recently held in Mexico City from Dec. 3-6th, 2016,” said Jessie Cumberbatch, Executive Director. 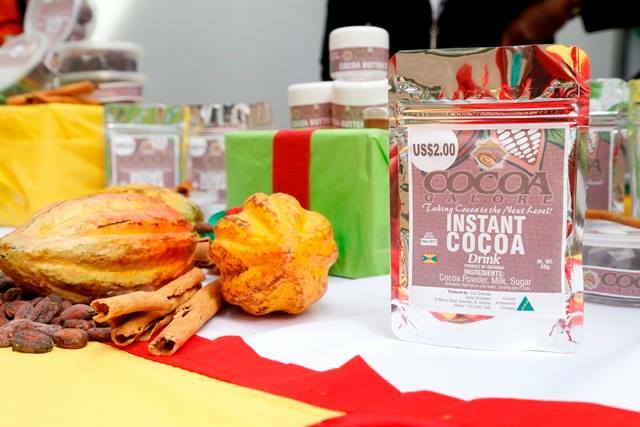 The students presented Cocoa Galore, a company focused on providing customers with high quality cocoa products. The company's motto, Taking Cocoa to the Next Level, is evident; they provide a wide range of unique, healthier cocoa products while reducing consumption of over processed cocoa. Their results...high sales and a profitable company! The funds received from Levera played a significant role in the development of the young entrepreneurs’ personal and professional lives. Funding from outside sources is key to the program success. It allows the participants to enter the competition and showcase their understanding of key concepts to business development: work readiness, entrepreneurship, and financial literacy. The contest exposed the students to higher levels of competition and required them to perform at their best individually and as a team, demonstrating innovative capacity, management skill, oral presentation skill, and composure under the scrutiny of the peers, as well as the panel of judges. The donor, Levera Beach Resort, a hotel and residential development is being constructed in the northern parish of St. Patrick’s, Grenada. The project is the first resort development of its kind on the northeast coast of the island. Being built in phases, the resort features an 80-unit boutique hotel, casitas, villas, restaurants, pools, holistic wellness spa, EcoCenter, and organic orchard on 375-acres with sweeping ocean views. The vision of the developers is to offer an unparalleled vacation and lifestyle experience in an ecologically progressive environment, with plans to use sustainable building materials, alternative clean energy sources (including solar power), establishing on-site water reclamation systems, composting, and planting an organic orchard to service the restaurants.